Snowflake, a California cloud data software company led by a former Microsoft executive, will make its products available on Azure as well as AWS. Snowflake, a California cloud-computing data software company, has launched its products on Microsoft Azure, another boost for the Redmond company as it competes with Amazon’s popular cloud service. 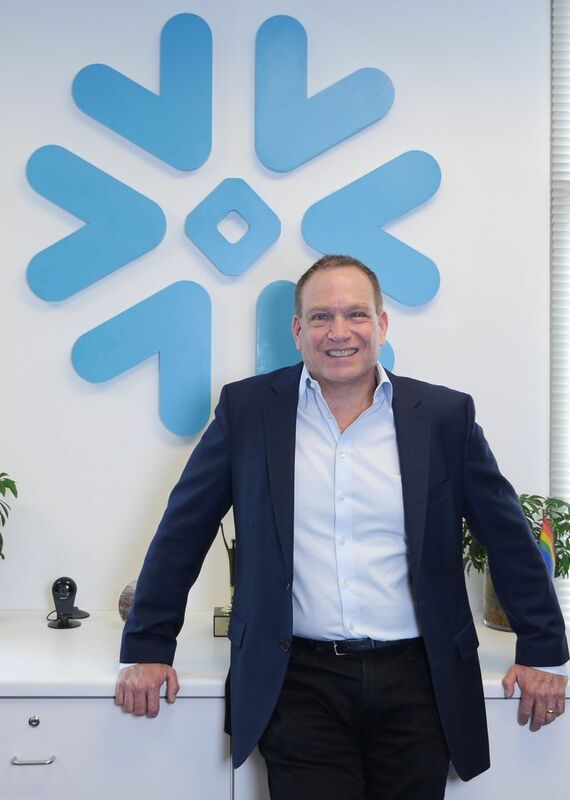 Snowflake CEO and former longtime Microsoft executive Bob Muglia made the announcement Thursday, noting that more clients have been asking in the last year for the company’s data management software to be available on Microsoft’s Azure cloud-computing service. Until now, the software worked only on Amazon’s cloud. Snowflake, based in San Mateo, has raised a whopping $473 million from investors, including Seattle’s Madrona Venture Group. The company opened a Bellevue engineering office last year, and now has about 30 employees locally and 475 total. Since it was formed six years ago, Snowflake’s products have been compatible with Amazon Web Services(AWS), the cloud computing division of the Seattle technology and retail giant. AWS is considered the leading cloud provider by a wide margin. But its competitors, notably Microsoft’s Azure, are gaining ground quickly as more companies move their operations to the cloud, which allows businesses to “rent” computing power from a cloud service rather than using their own servers. In the last year, Muglia has seen a trend of companies choosing to build on Microsoft Azure, he said. The majority of Snowflake’s customers still use AWS — and Muglia expects that to continue — but a big enough number were opting for Azure that Snowflake began developing for that platform last year. The catalyst for Snowflake to begin developing for Azure came from its big client Nielsen, a global market research firm, which said about 14 months ago it wanted to use Snowflake’s products on Azure. Gartner’s latest research data, from 2016, shows that Amazon held 44 percent of the cloud infrastructure market, compared with 7 percent for Microsoft. A more recent study from Synergy Research Group still shows Amazon in the lead, but with a 33 percent market share during the first quarter of 2018, which has held steady for 10 quarters. Microsoft came in second with 13 percent of the pie, up from 7 percent at the end of 2015. Within Microsoft itself, cloud computing is becoming increasingly important. The company reorganized its vast array of technical teams in March to focus more on cloud development, and less on its legacy products such as Windows. Azure has been the foundation of Microsoft’s strong financial results for the past several quarters. In the company’s fiscal third quarter, which ended in March, revenue from Azure grew 93 percent. The quarter before that, it increased 98 percent. Snowflake will begin working with some new clients on Azure on Thursday during a preview period. It plans to launch the service generally to the public in the fall.